I am honored to help out at B.E.A.R., any way I can, photograph a dog or take one for a ride to the vet, etc. 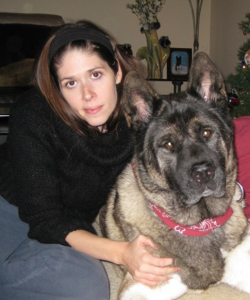 Big East Akita Rescue is an amazing group with huge hearts for all animals and Akitas. I have been fortunate to be witness to some of the miracles they make happen everyday. After the passing of my Akita, I felt I needed to do something to honor her memory and help Akitas in need. Being a professional photographer who is passionately in love with Akitas and photography. I hoped I would be able to use my camera to capture the essence of the dogs and tell the story of who they are through the images, and that one special person would see that Akita and say that’s my new best friend! !